Eagle is the longest living bird with a lifespan of 70 years. However, to live that long, the eagle has to go through a painful process of rebirth when it turns 40. This process involves breaking its beak against a very high mountain peak and then plucking its talons and feathers with its new beak. 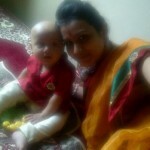 The process, though excruciating, enables to extend its life by 30 years. 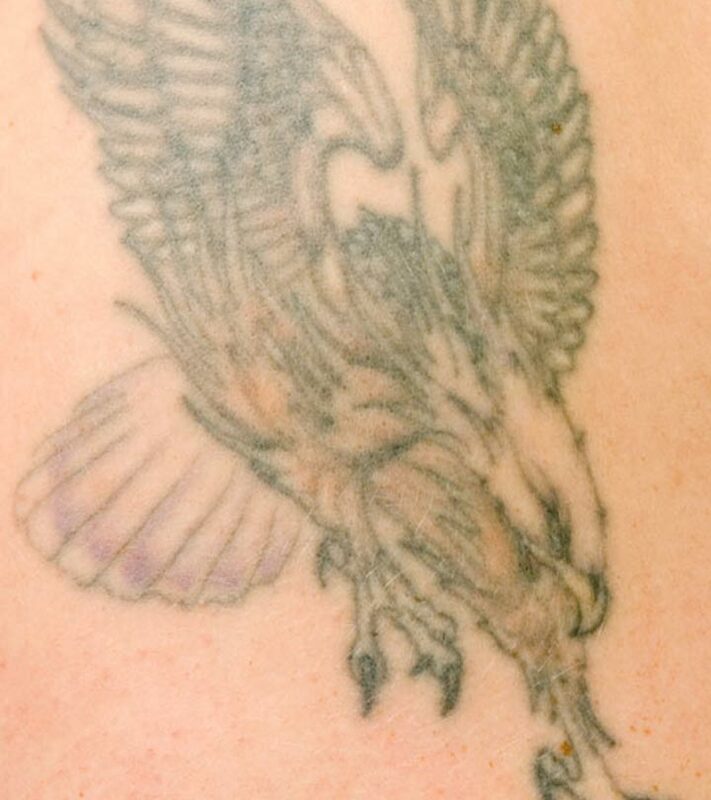 Hence getting an Eagle inked would be a great tattoo concept. Bald eagles have snow white heads which jet black bodies. It is also the national bird of the United States of America. 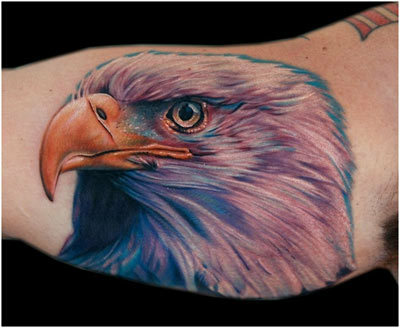 They are majestic and awe striking birds that are great body art subjects. 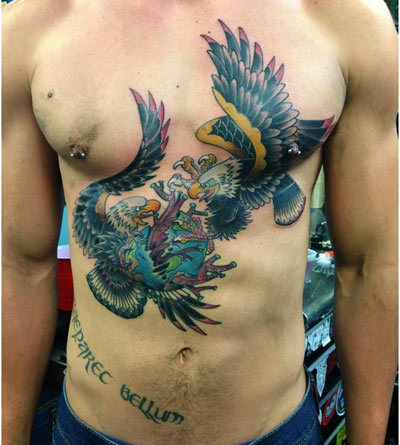 This is an amazing choice of all the eagle tattoos designs. Eagles perch themselves on the highest mountains and branches. They never settle for mediocre heights. 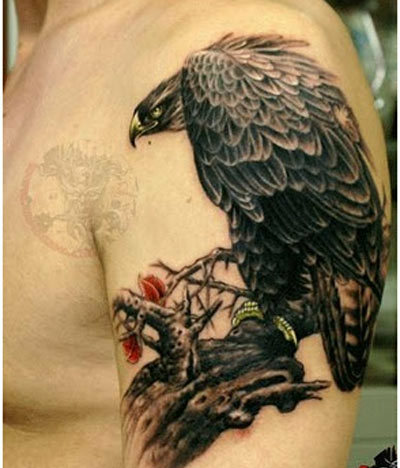 A tattoo of an eagle perched on a branch or cliff would symbolize your power to reject mediocrity and aim for excellence. An eagle generally swoops down and catches its prey. This is done with tremendous speed and is an action that would symbolize a specific meaning when tattooed. It would symbolize the power to chase dreams with speed and determination. Eagles fly very close to the sky. They look majestic when in flight. 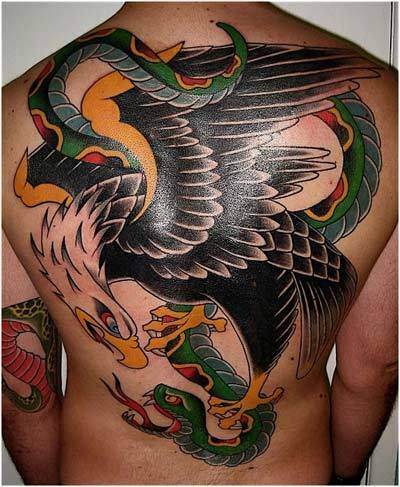 That is why inking an eagle in flight especially on the ribs or back would make a grand tattoo. Since eagle fly higher than normal birds, almost close to the sky, it is believed that finding an eagle feather is a sign from god and a sign of good fortune. In many tribes, an eagle feather was handed out those who performed extreme acts of bravery. This is thus a great tattoo to have because it represents a lot more than just beauty. Eagles mostly eat snakes, rabbits, squirrels, fish and lizards. An eagle is a very quick hunter. 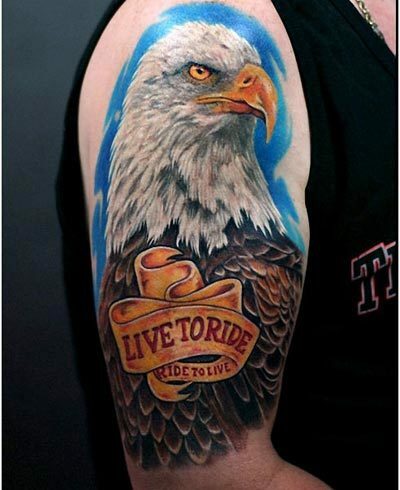 This aspect of an eagle is indeed admirable and something worth tattooing. 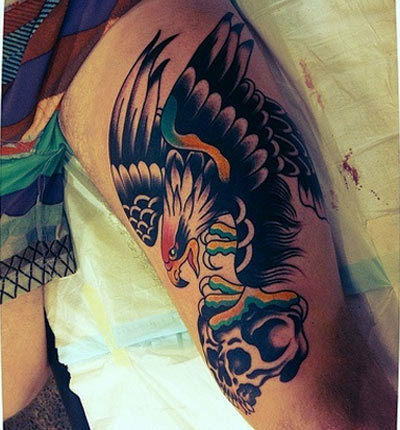 An eagle on the hunt would symbolize single mindedness and ferocity. Eagles have very sharp eyesight; about 4 to 8 times that of a human. This very special characteristic makes a great tattoo theme. The tattoo can be inked in many different ways. 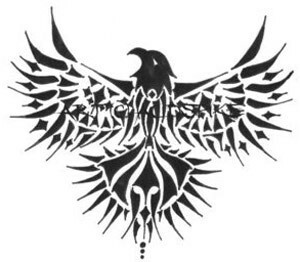 One such way would be to ink the side profile of the eagle with its eye facing forward. Another would be to ink the eye in such a way that it stares at the viewer. 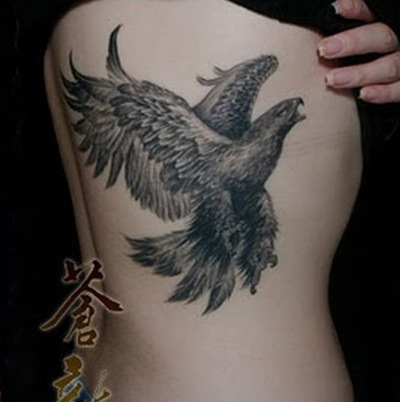 An eagle tattoo can be inked in various ways. 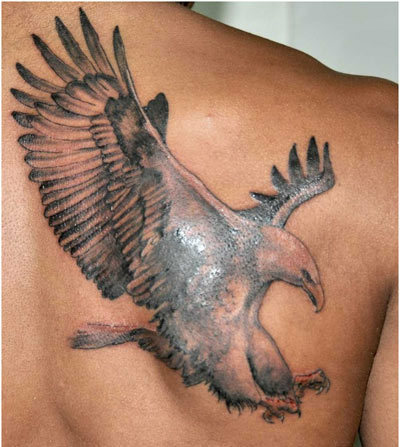 One very innovative way is to get a tribal themed eagle tattoo. 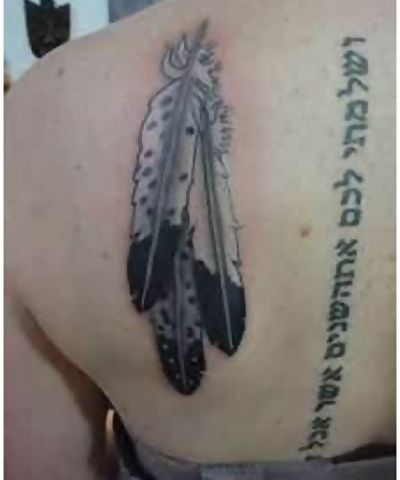 The tribal designs may be simple or very elaborate. Tribal tattoos look best when inked in black. An eagle in all its colours would be a perfect tattoo idea. It shall make a vibrant and meaningful tattoo. Eagles are magnificent and ferocious birds. A battle between two eagles would be a ferocious and energetic battle because both birds would be equally matched in power. Such a fight scene would be a great tattoo design. 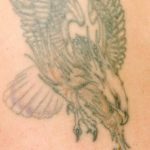 Are you planning on getting one of these eagle tattoo designs? Let us know!